Combine all ingredients in a bowl. Mix thoroughly. Use immediately or store in an airtight container. 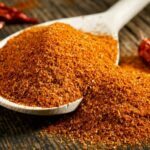 *For even more heat, choose a hot paprika instead of a typical generic paprika. You can also increase the cayenne. Balance the other ingredients to taste.